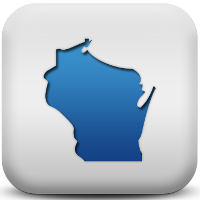 Welcome to the team, Wisconsin! 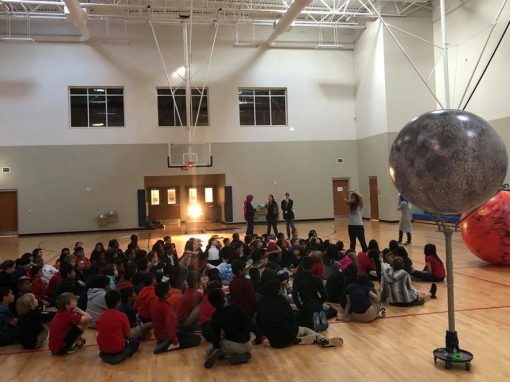 The Georgia office of SparkPoint Innovations opened in October of 2012 when The Big Canyon Balloon was introduced to the Southeast region for the first time. 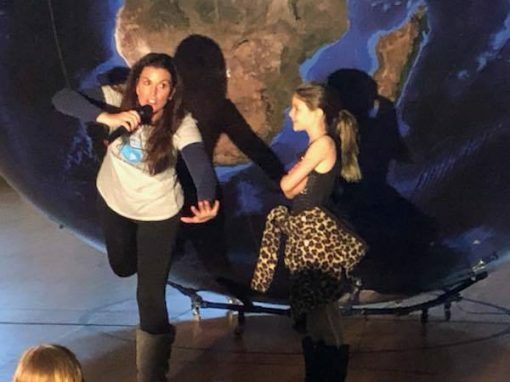 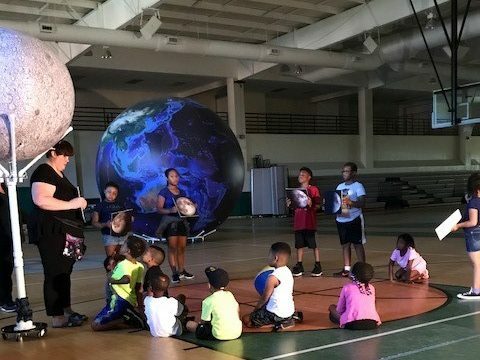 One year later, Orbit Earth Expo debuted in Georgia and has been a big hit ever since. 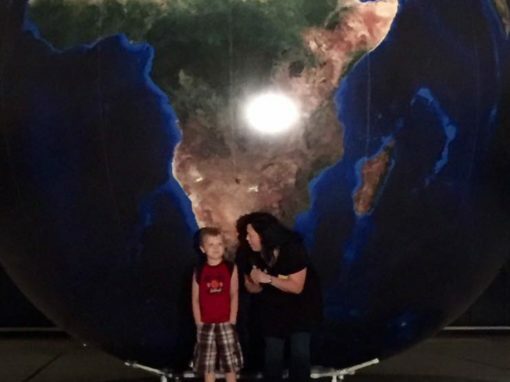 In 2015, we expanded to North and South Carolina. 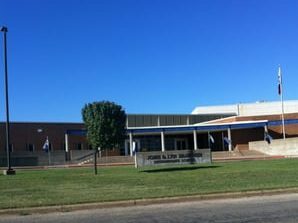 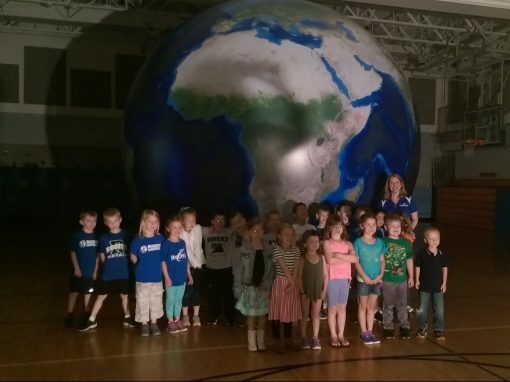 With encouragement from educators in the area, the decision was made to open a Wisconsin office in the fall of 2016. 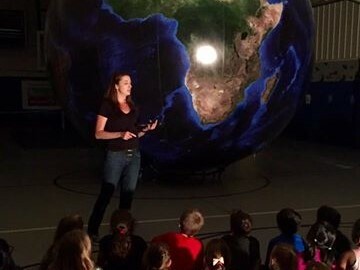 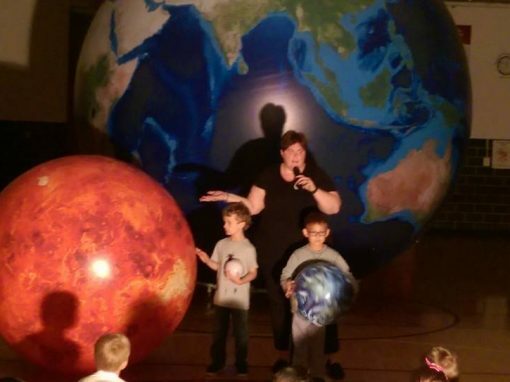 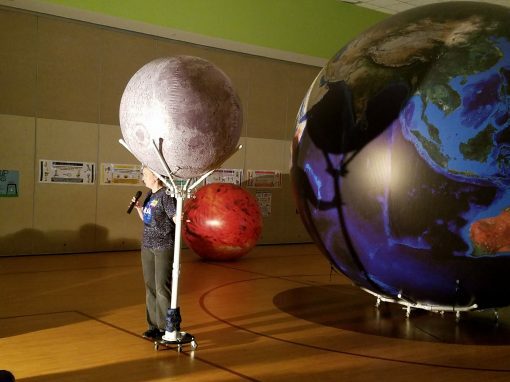 We are excited for the teachers and students of Wisconsin to enjoy Orbit Earth Expo and experience our standards-aligned, grade level specific programs! 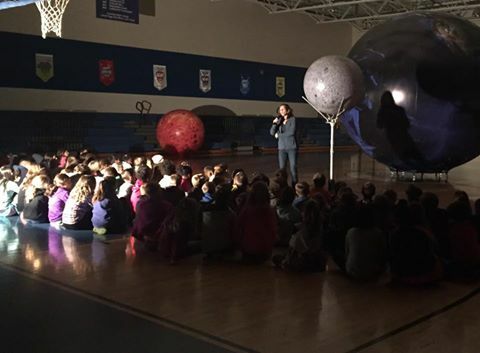 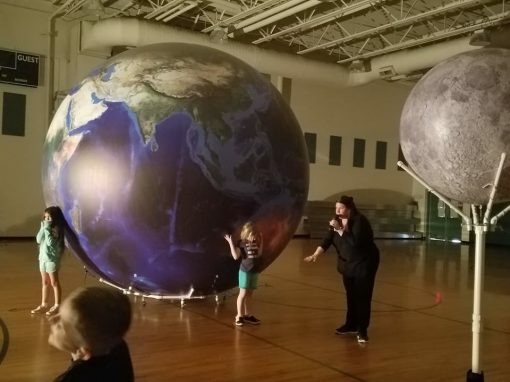 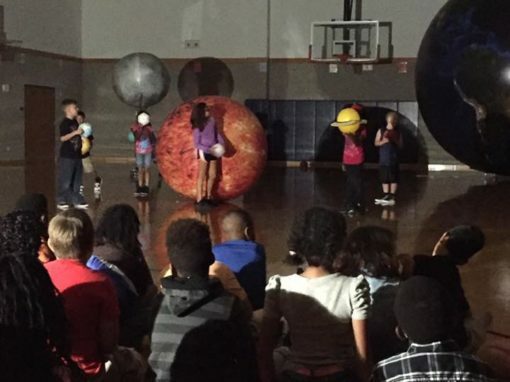 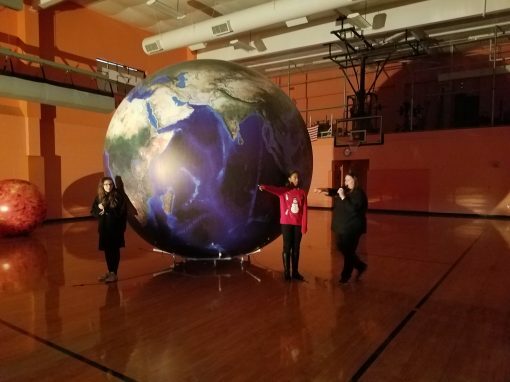 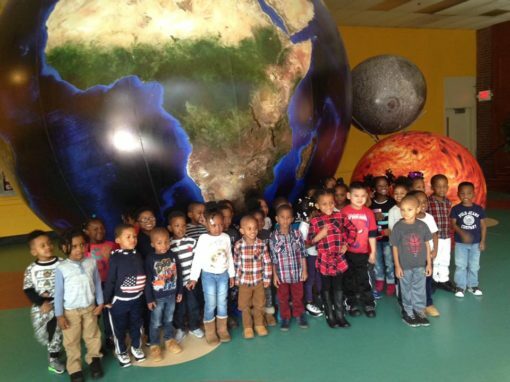 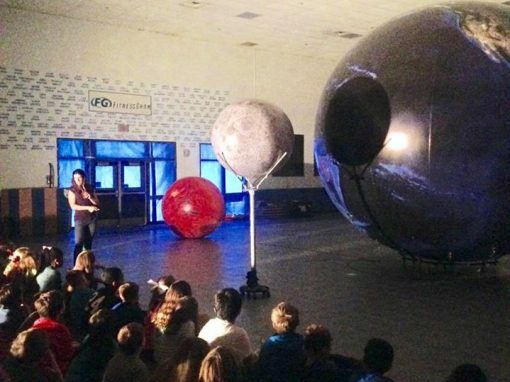 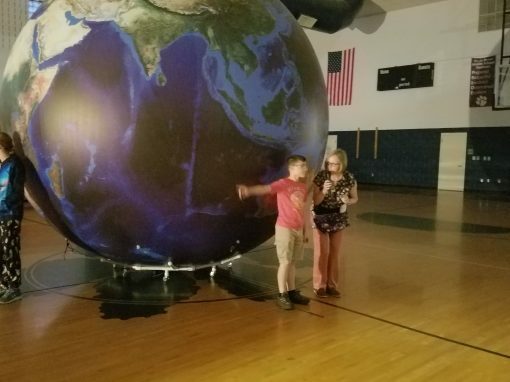 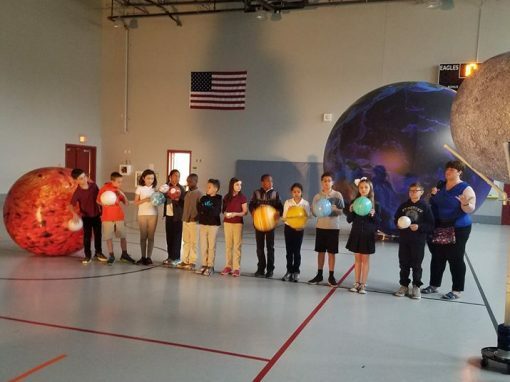 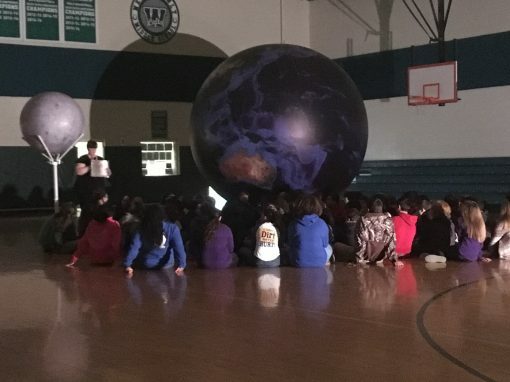 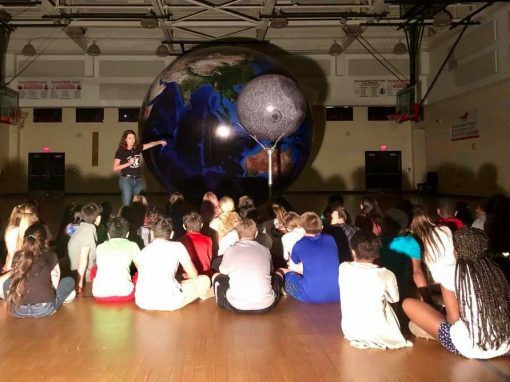 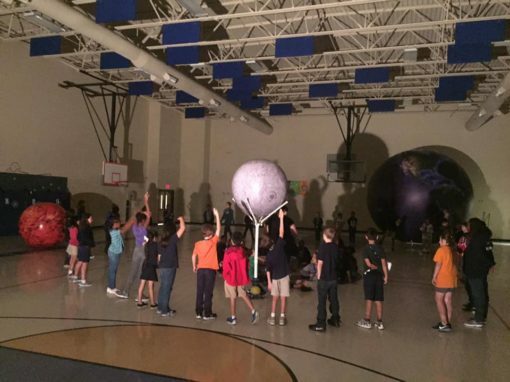 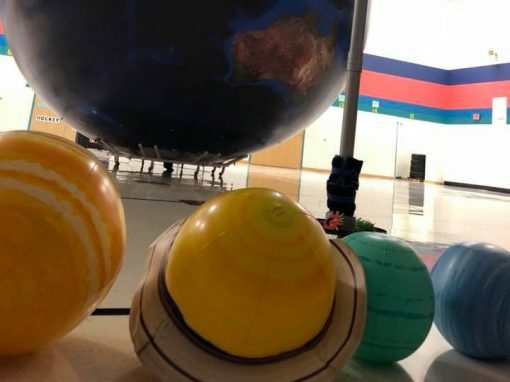 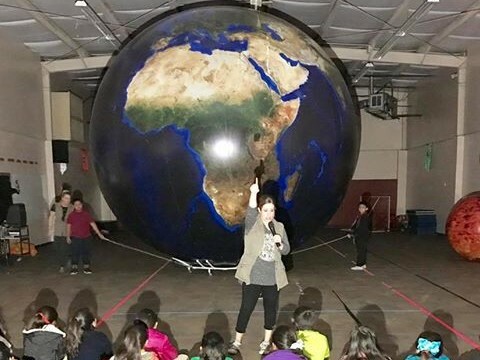 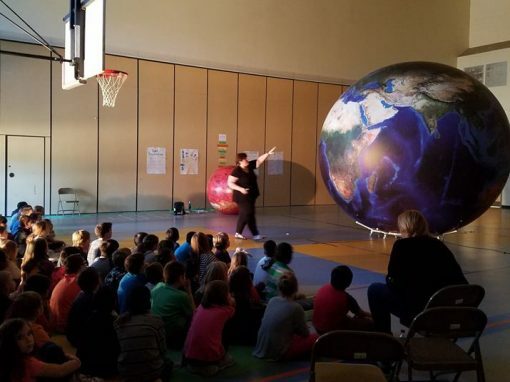 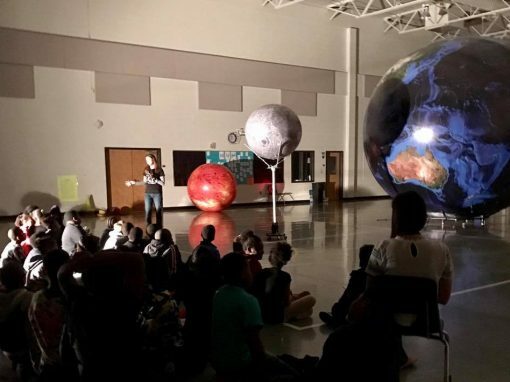 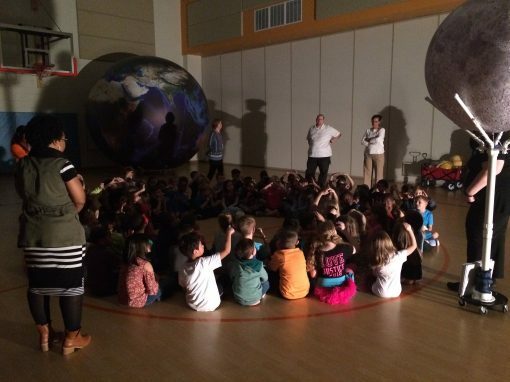 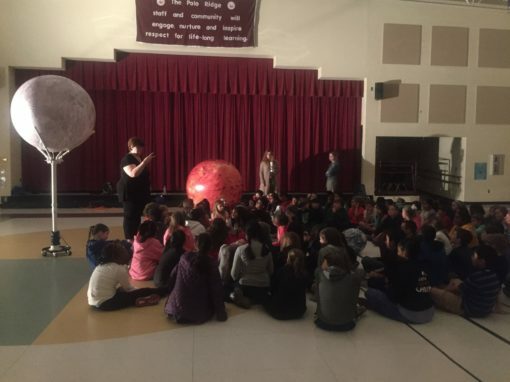 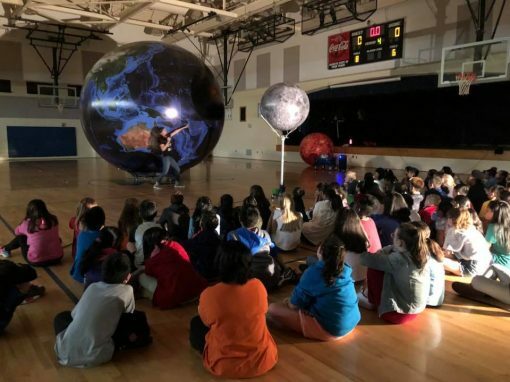 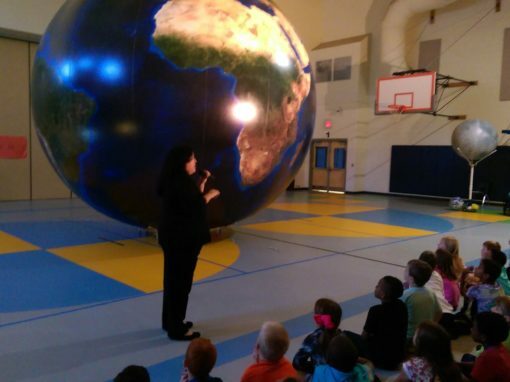 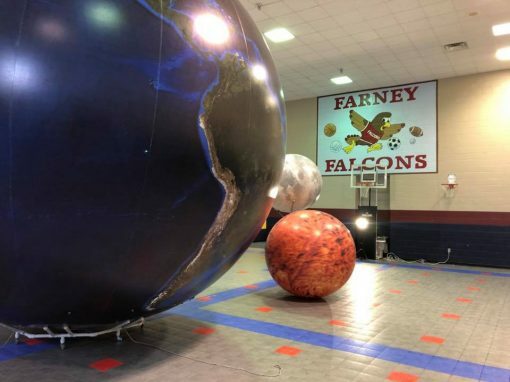 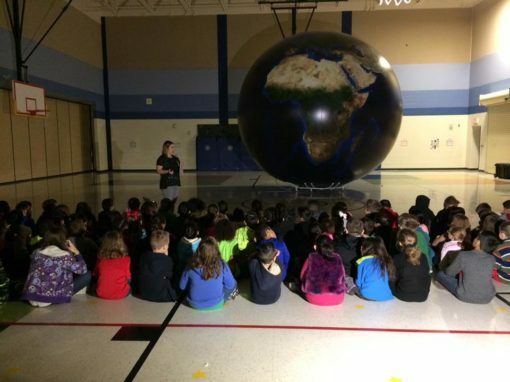 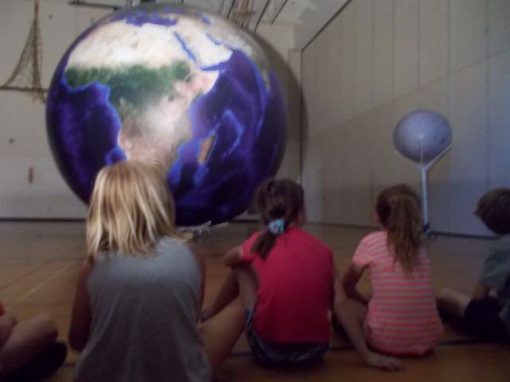 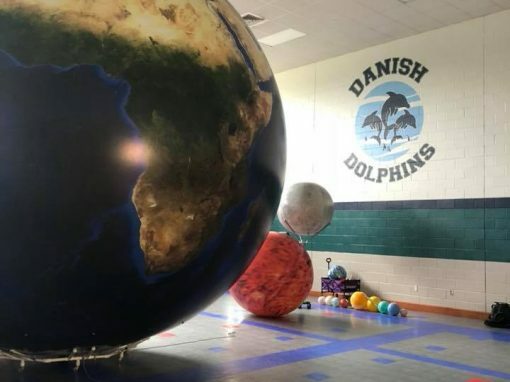 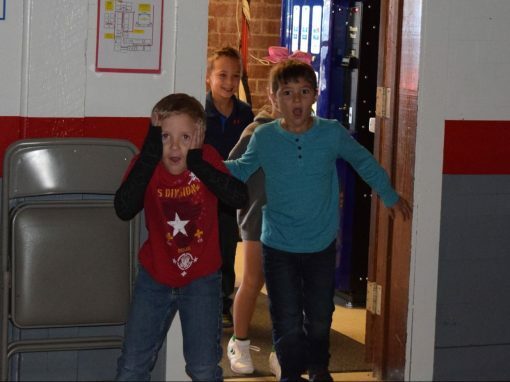 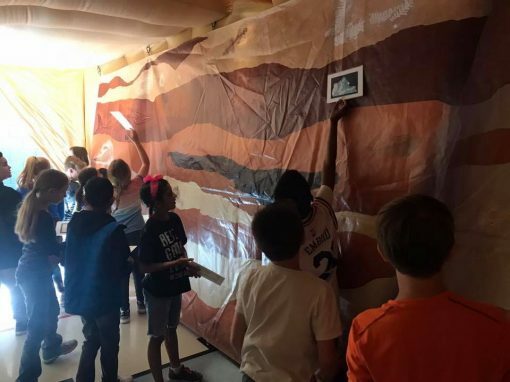 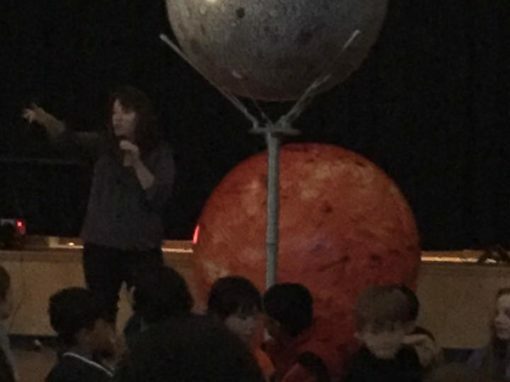 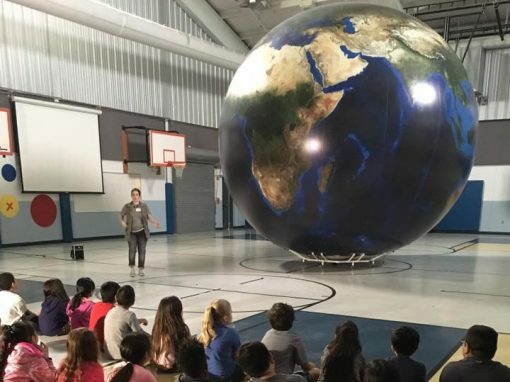 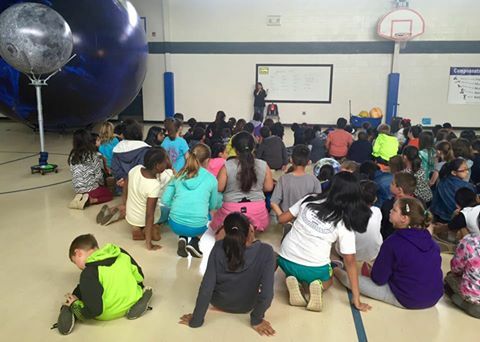 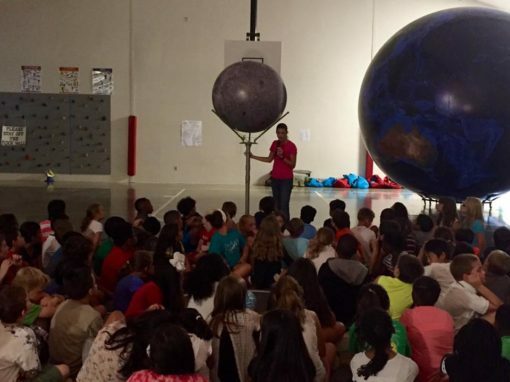 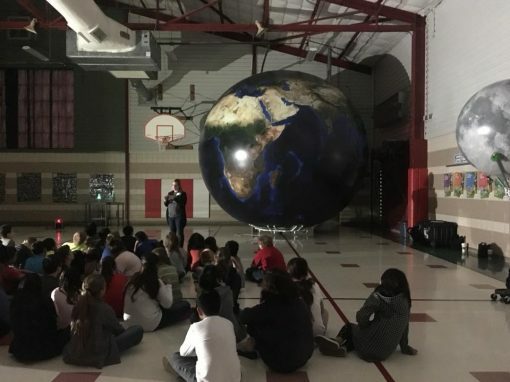 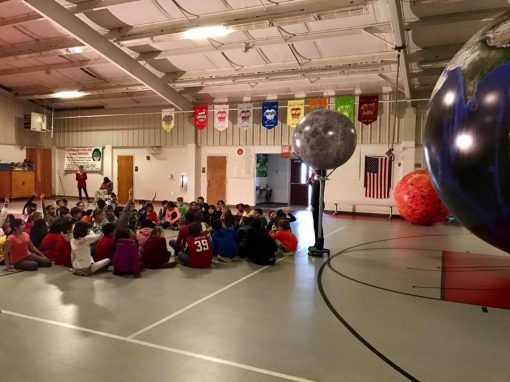 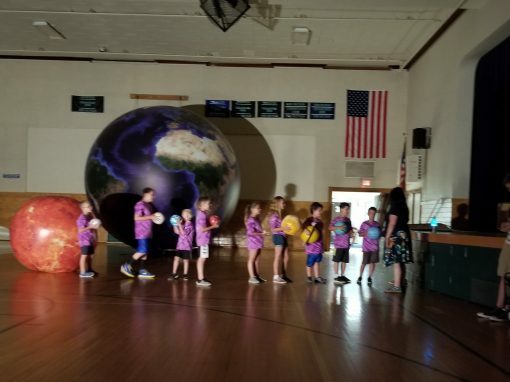 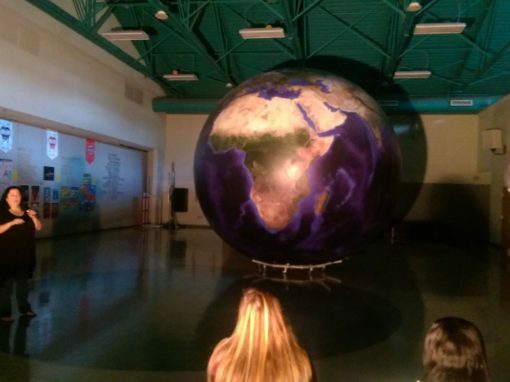 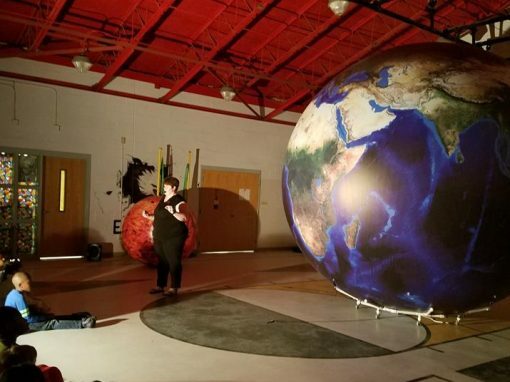 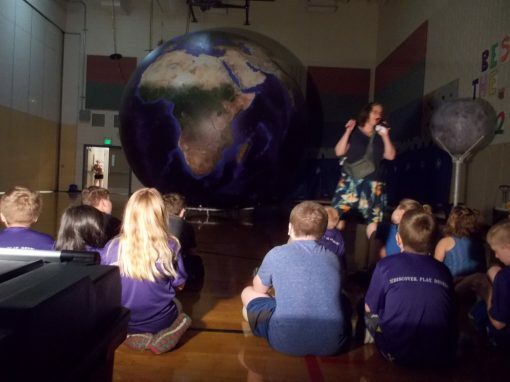 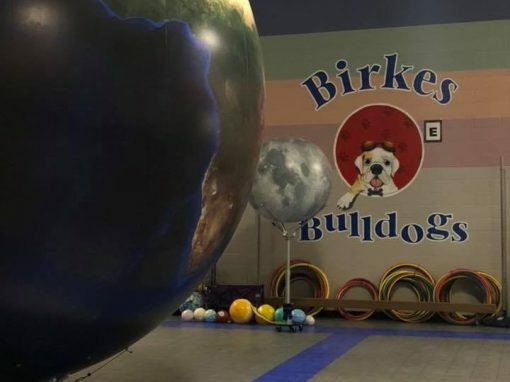 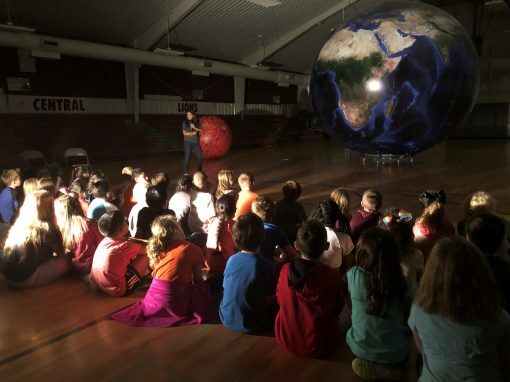 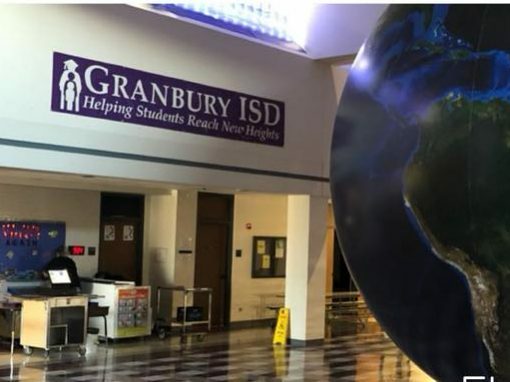 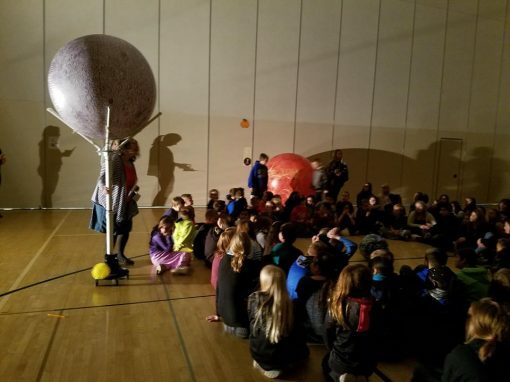 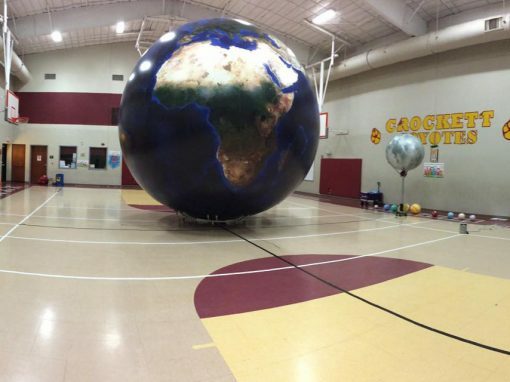 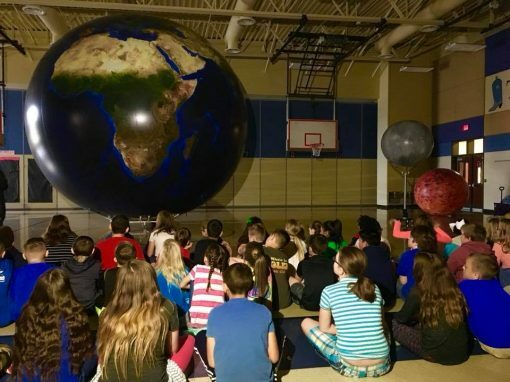 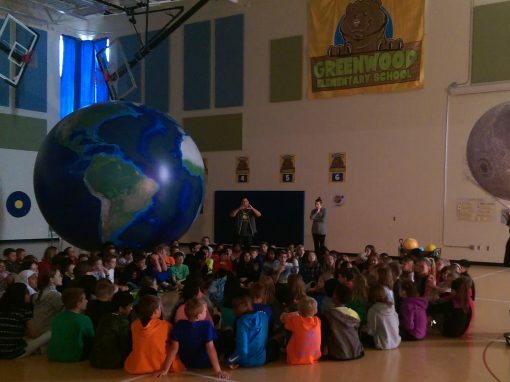 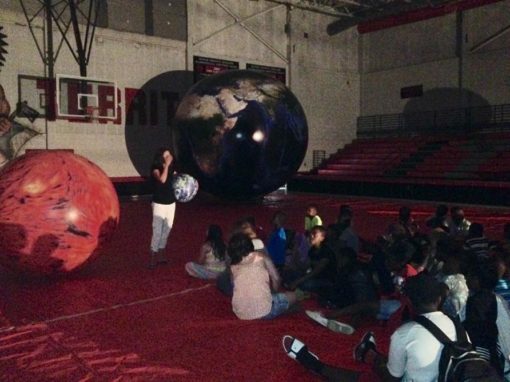 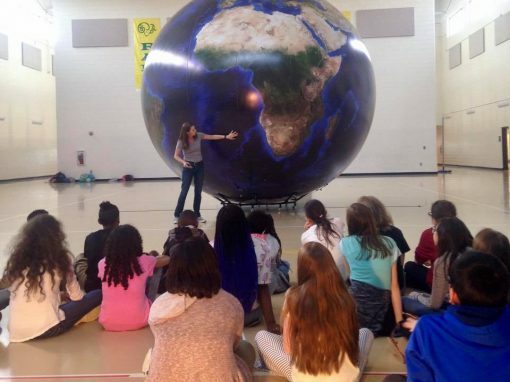 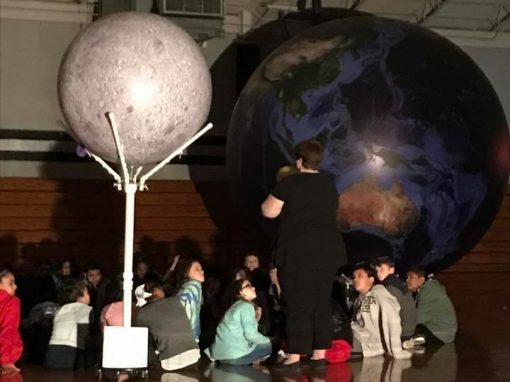 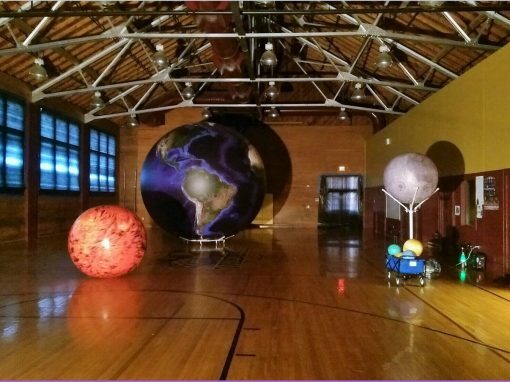 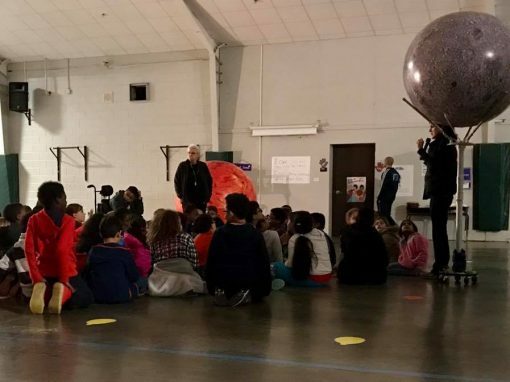 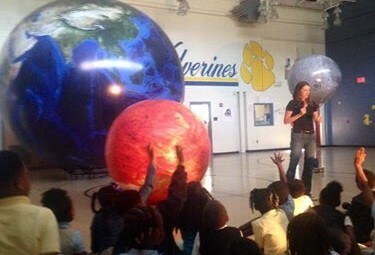 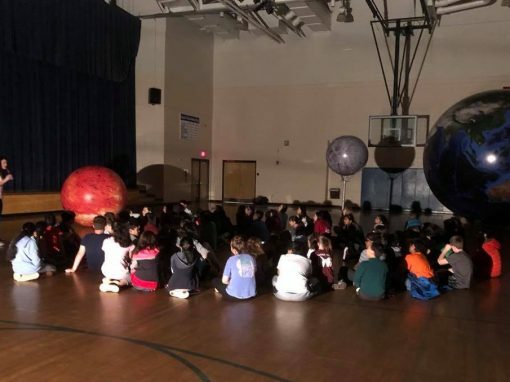 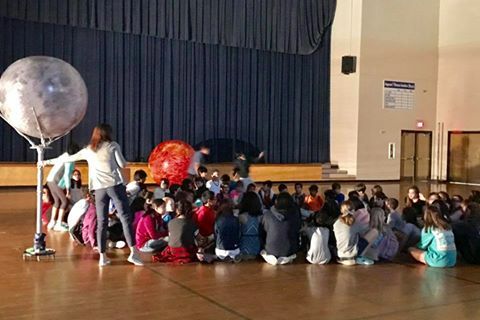 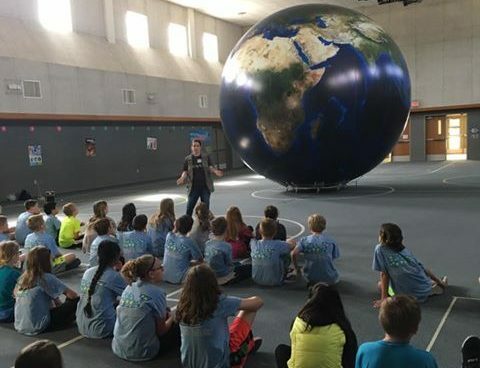 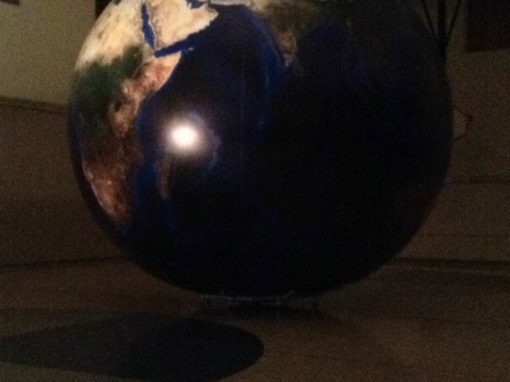 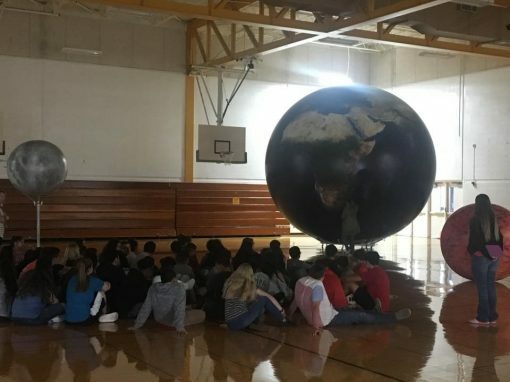 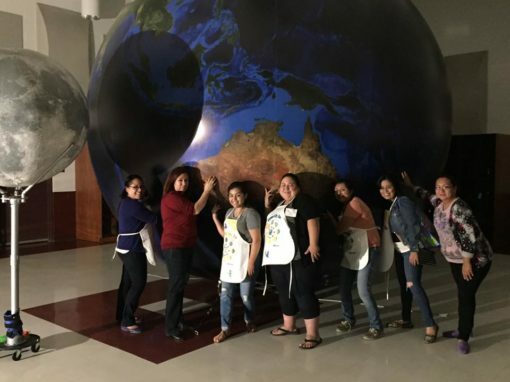 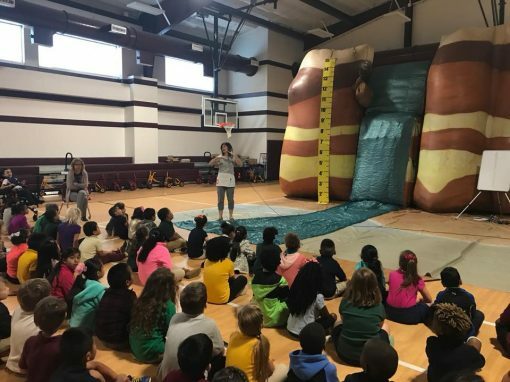 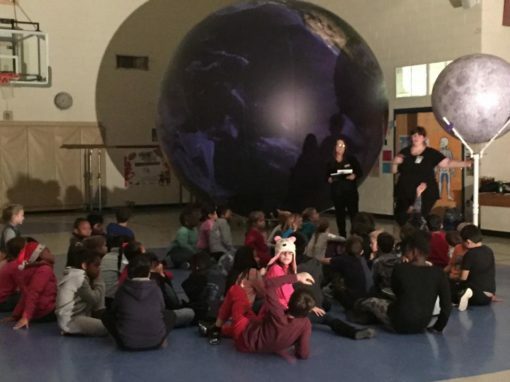 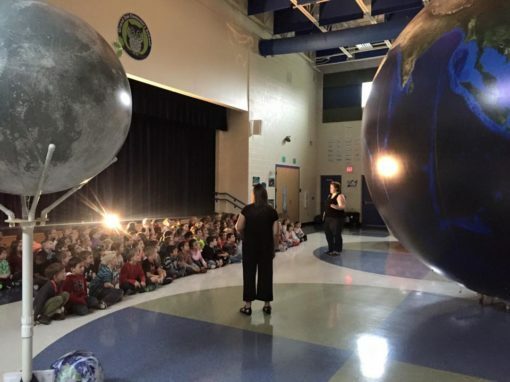 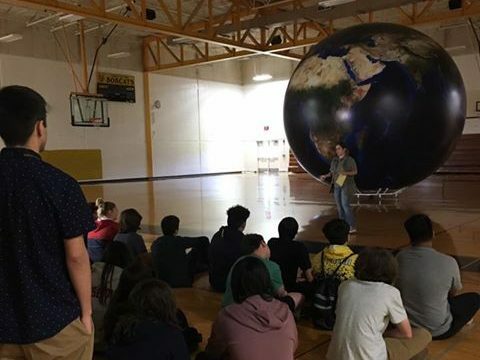 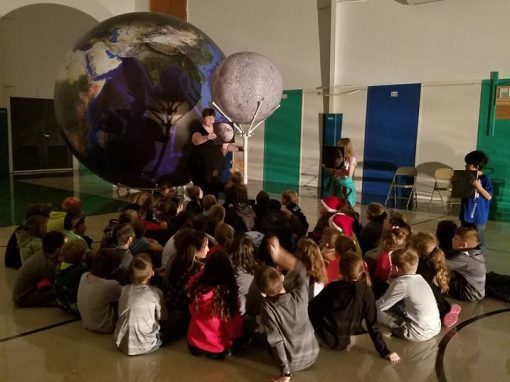 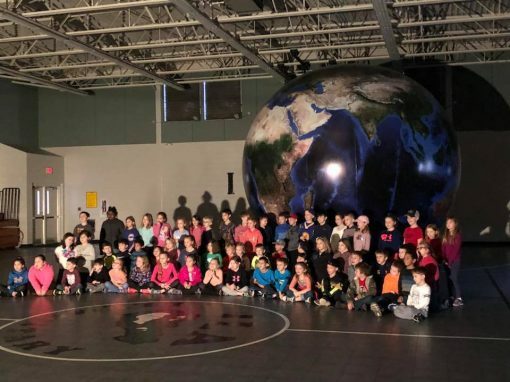 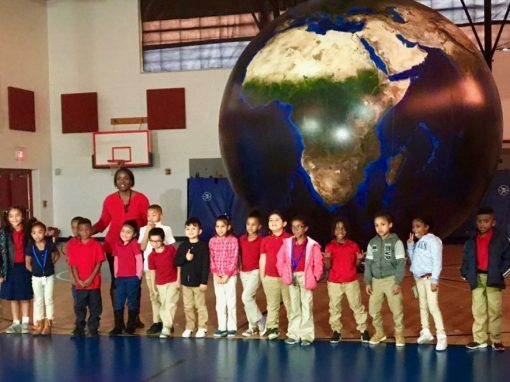 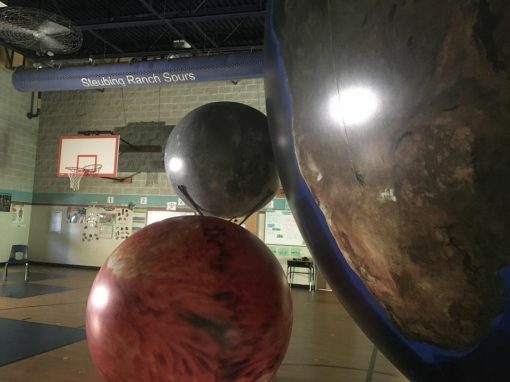 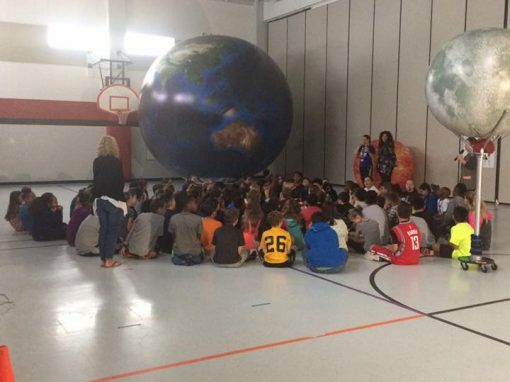 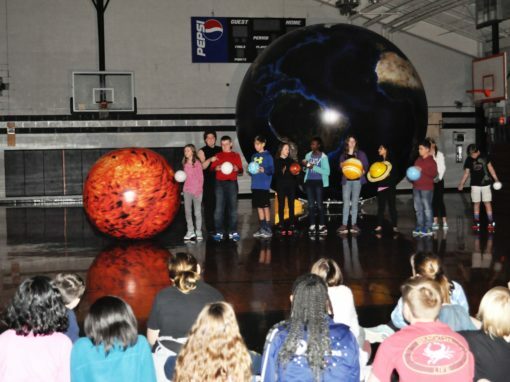 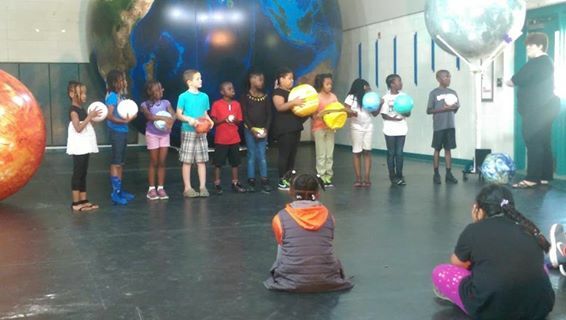 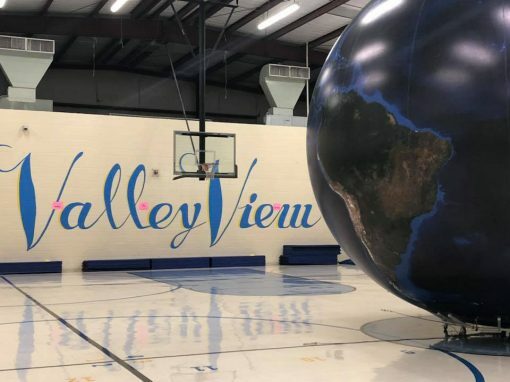 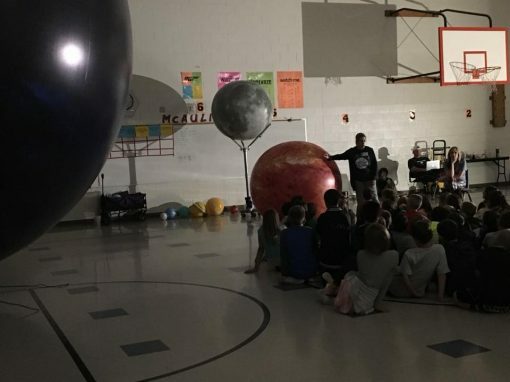 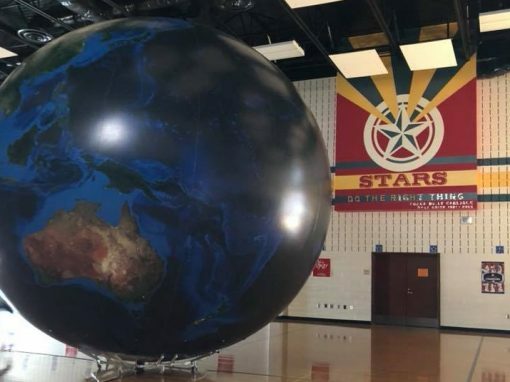 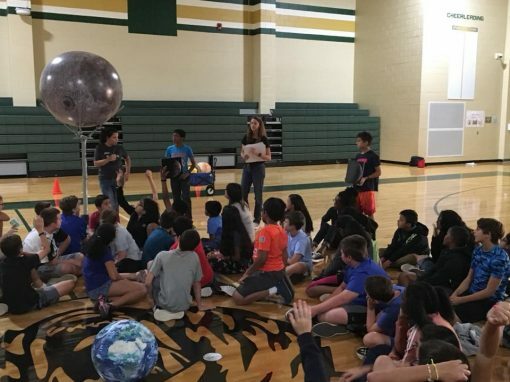 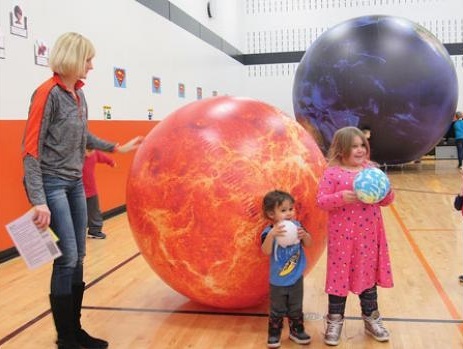 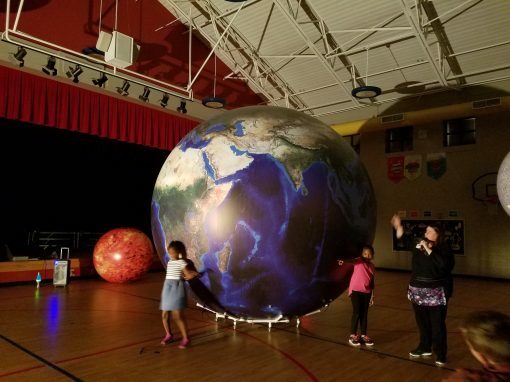 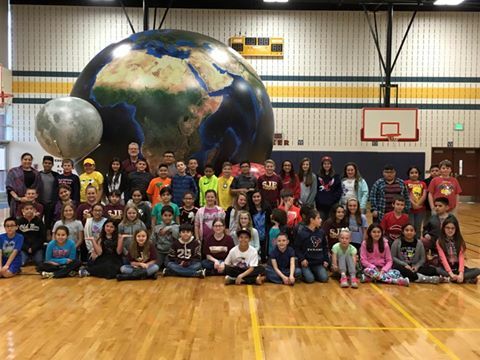 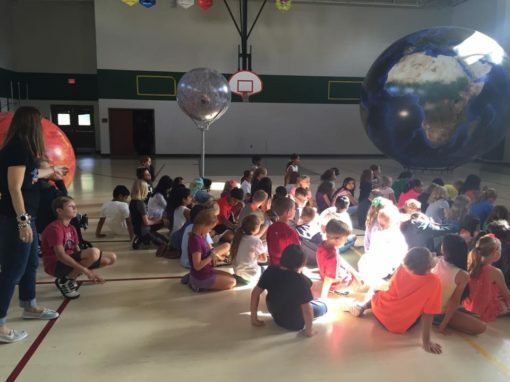 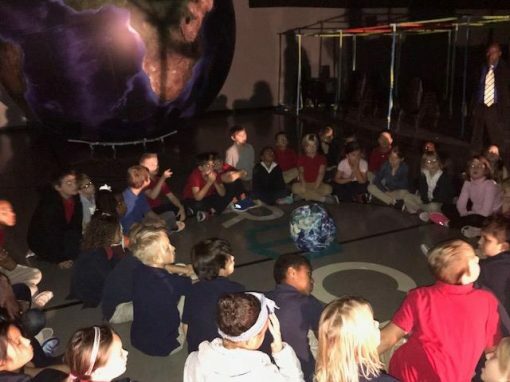 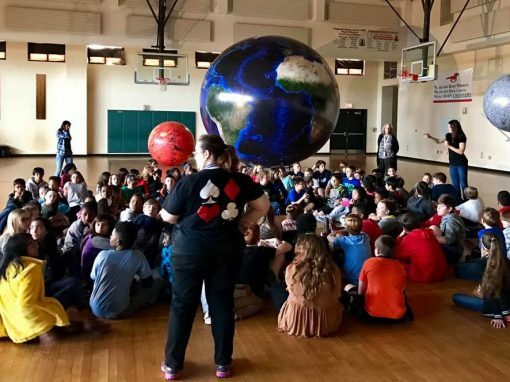 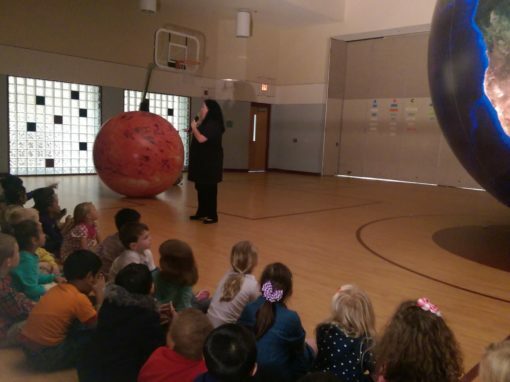 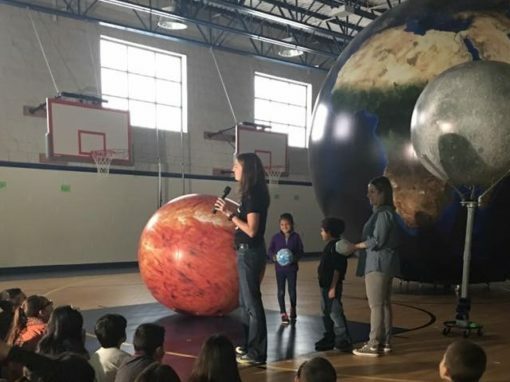 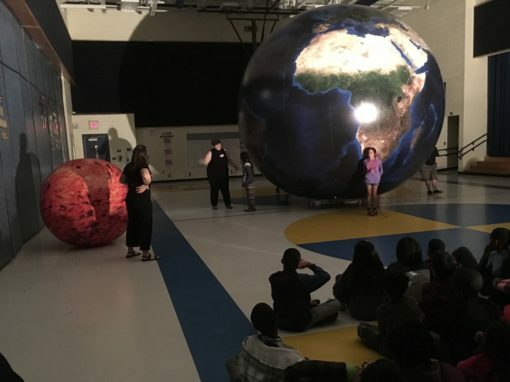 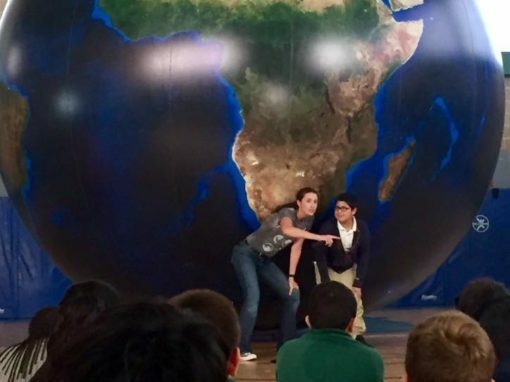 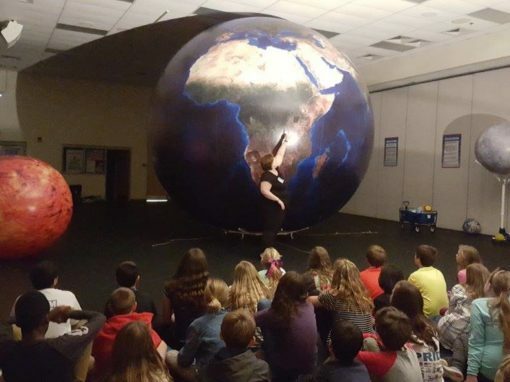 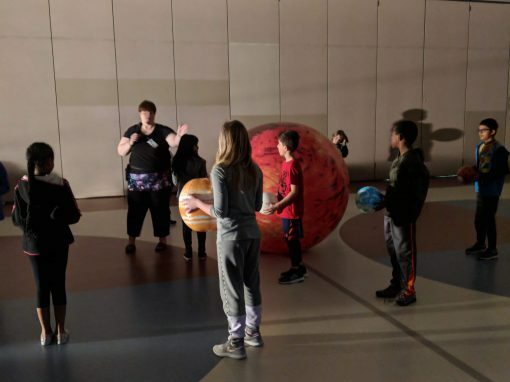 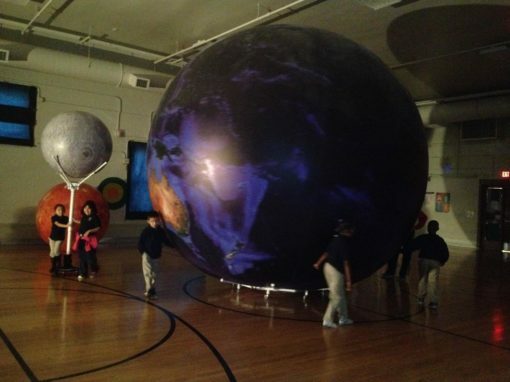 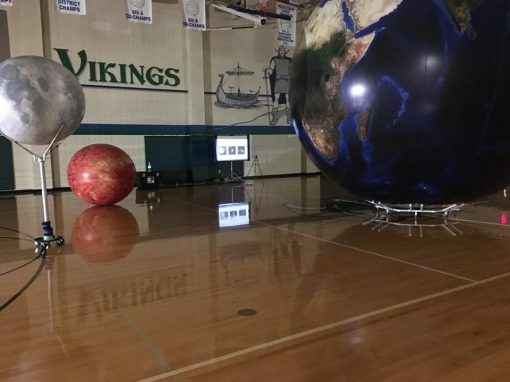 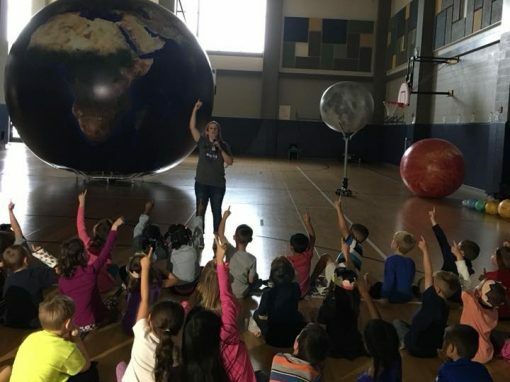 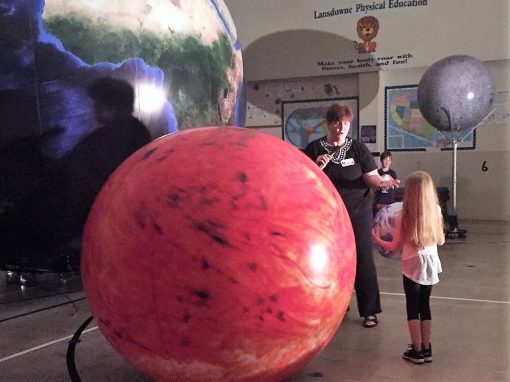 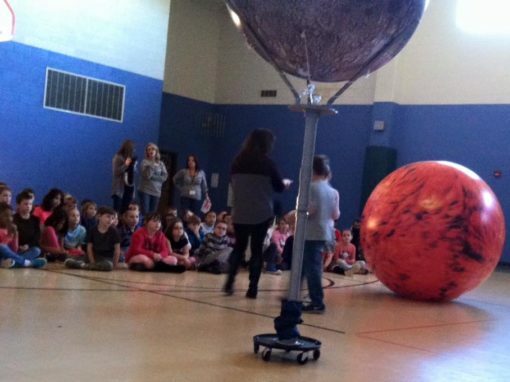 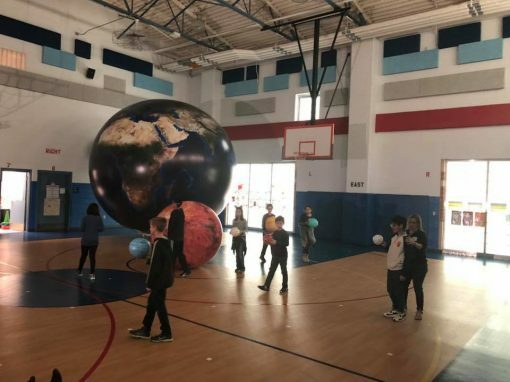 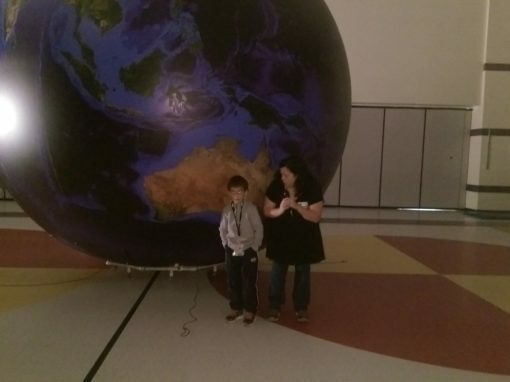 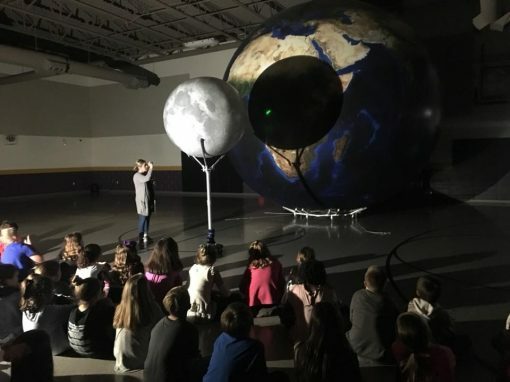 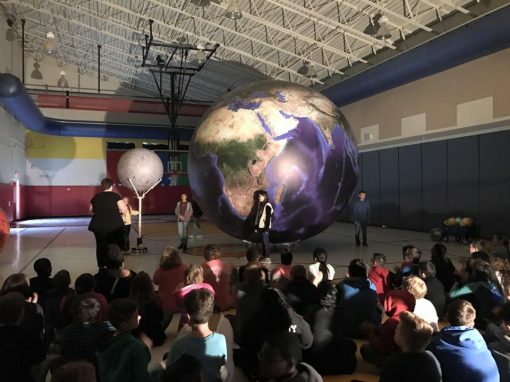 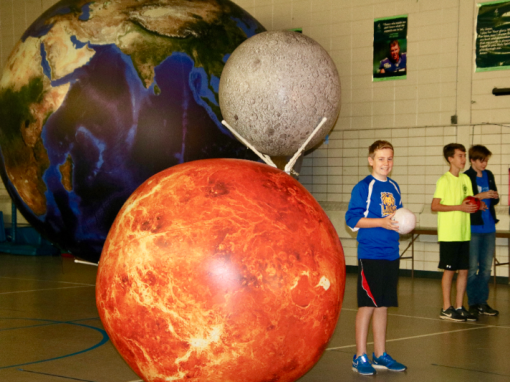 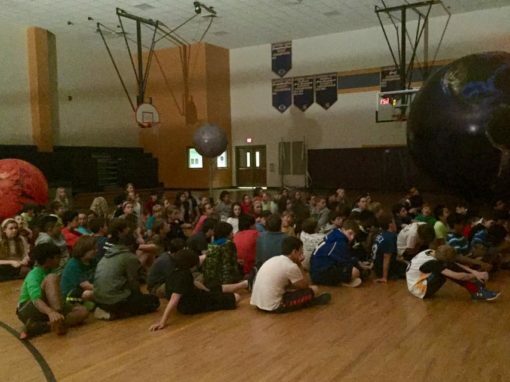 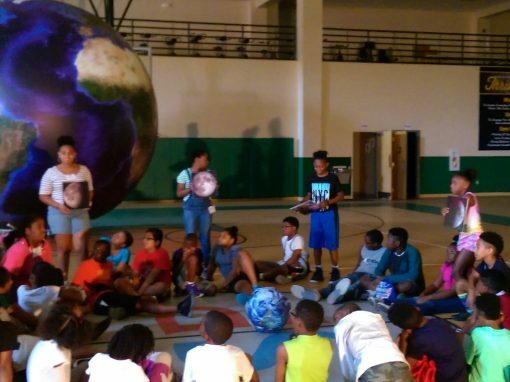 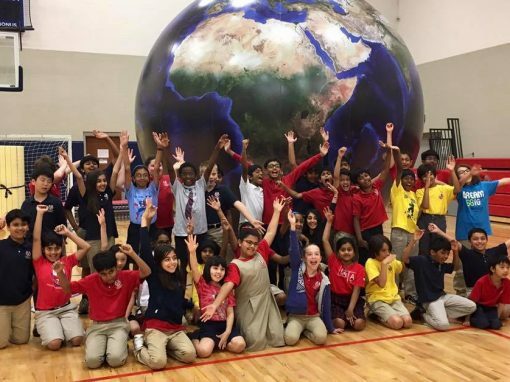 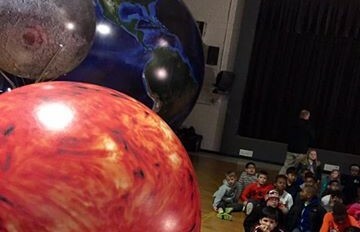 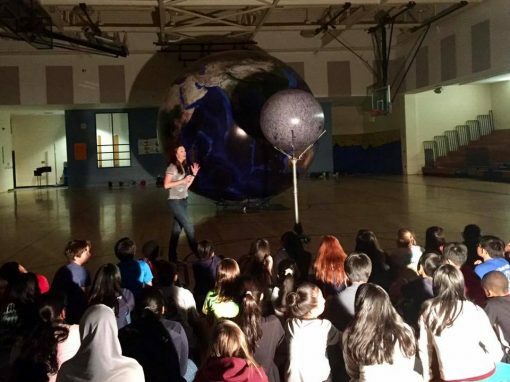 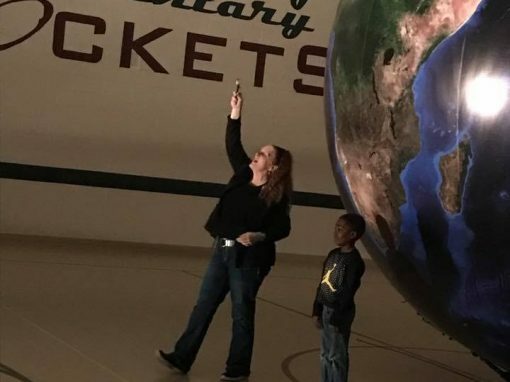 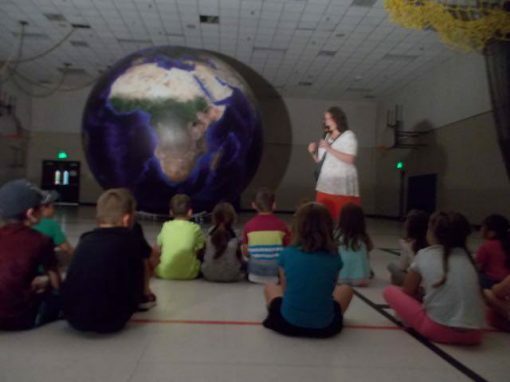 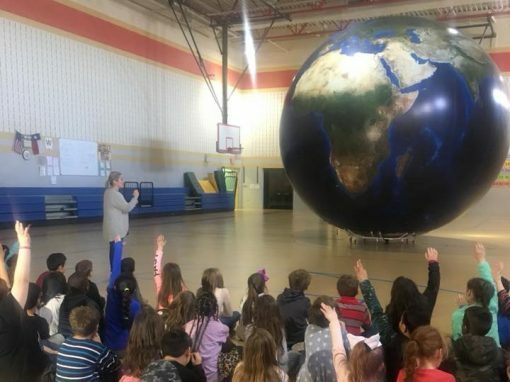 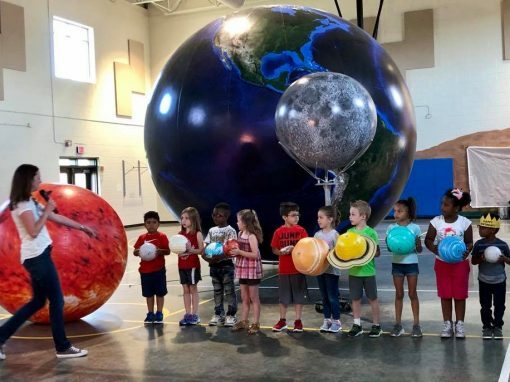 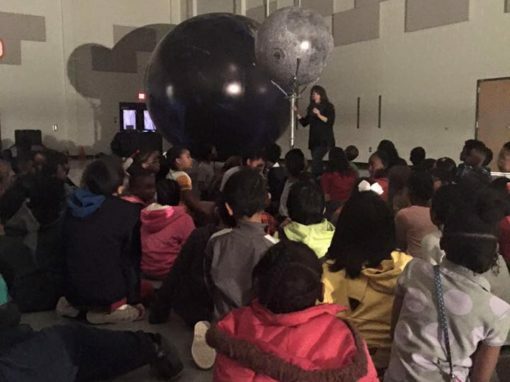 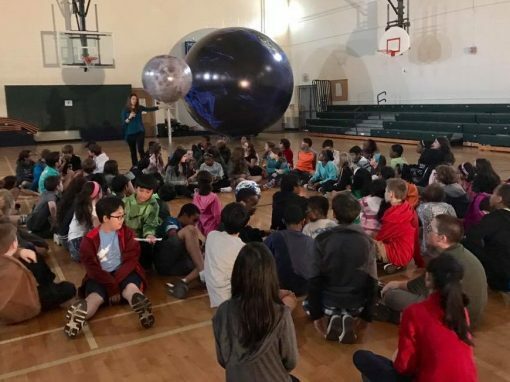 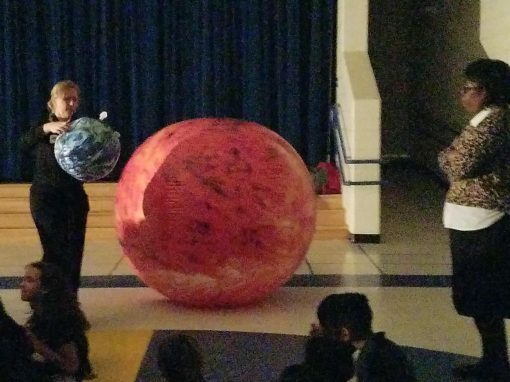 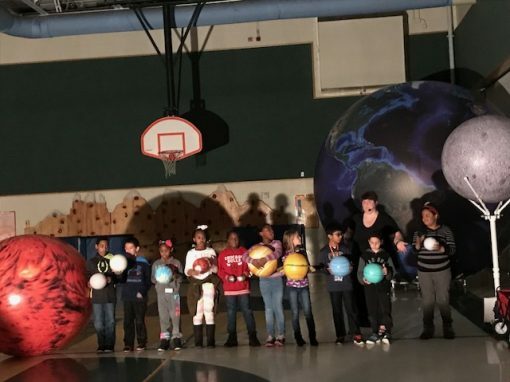 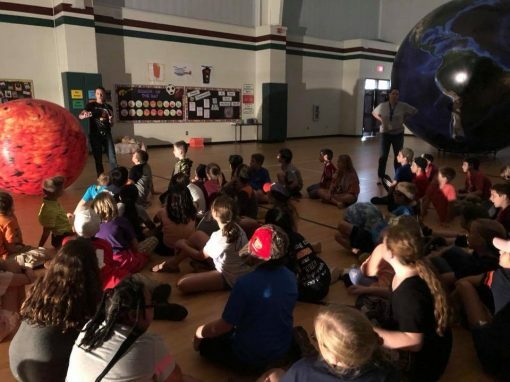 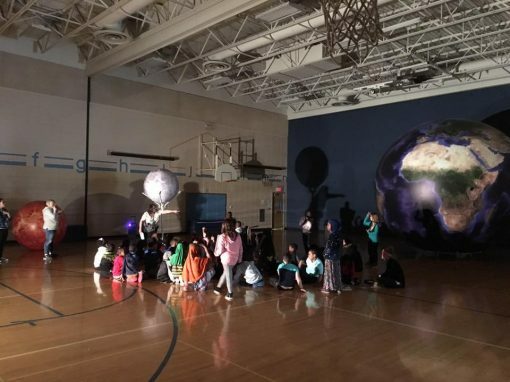 Students journey into space to create and experience the cycles, systems and relationships between the earth, moon and sun using our huge, inflatable Earth model and scale-sized moon. 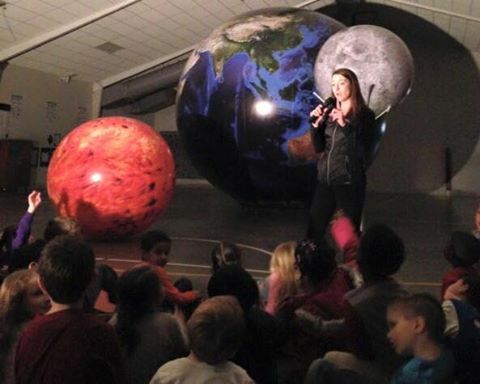 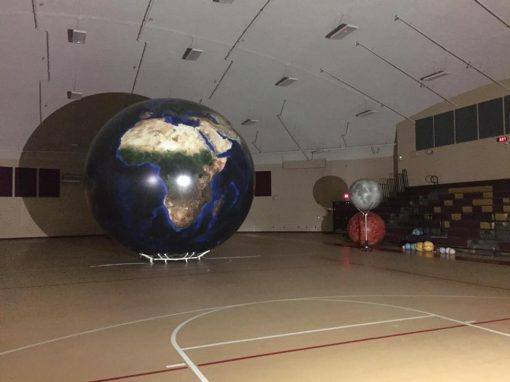 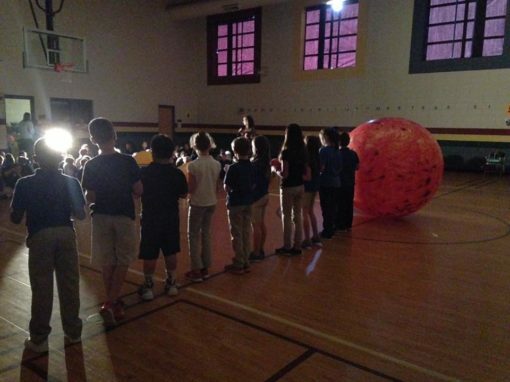 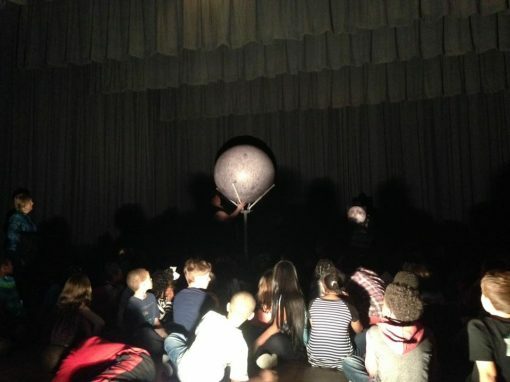 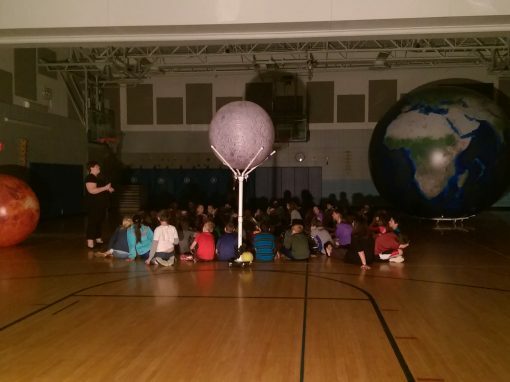 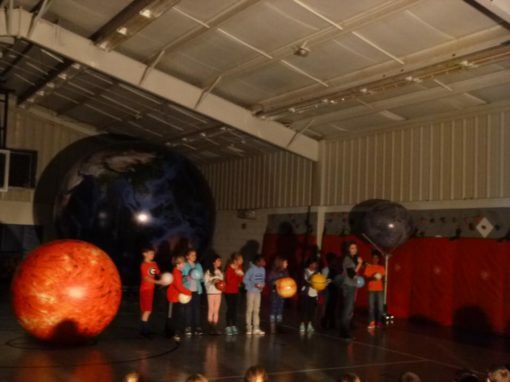 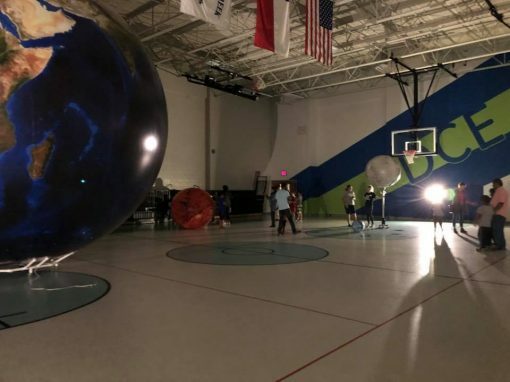 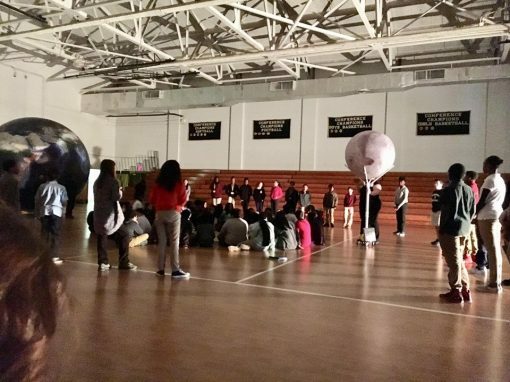 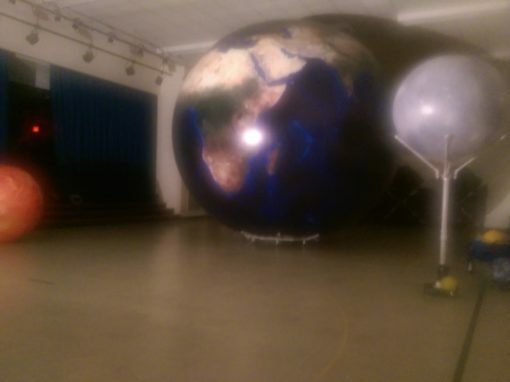 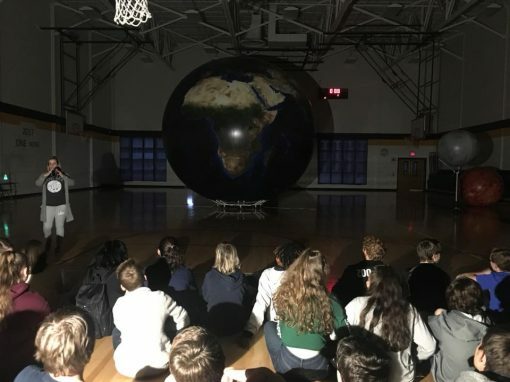 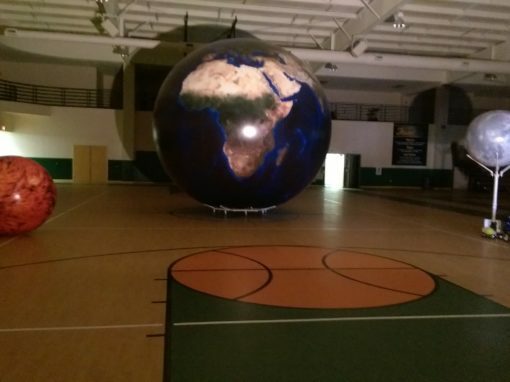 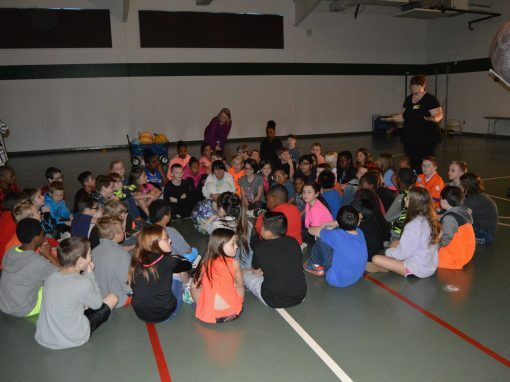 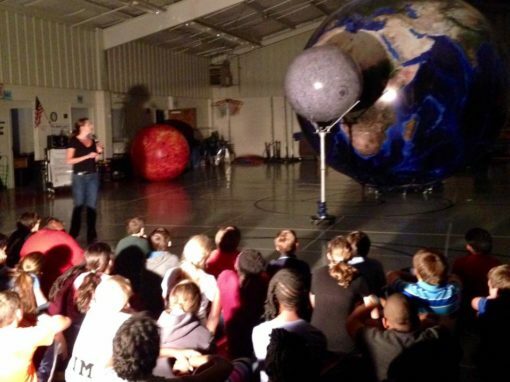 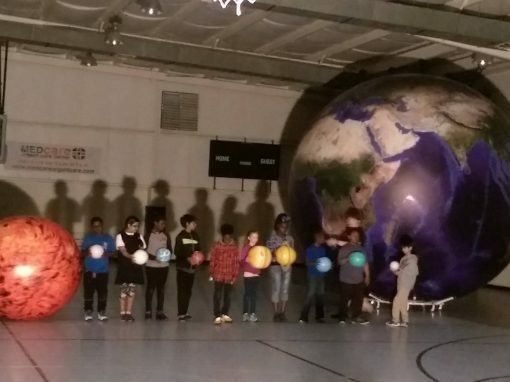 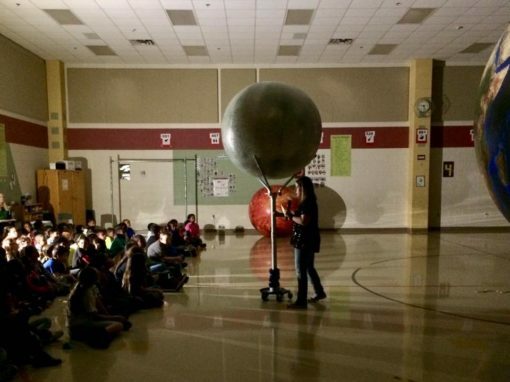 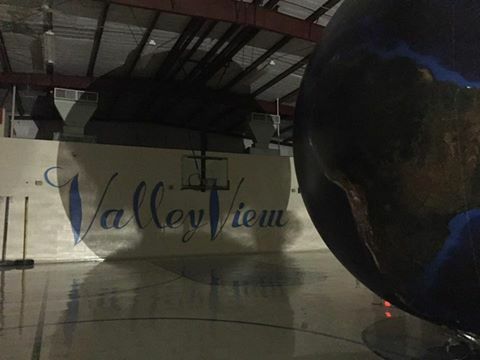 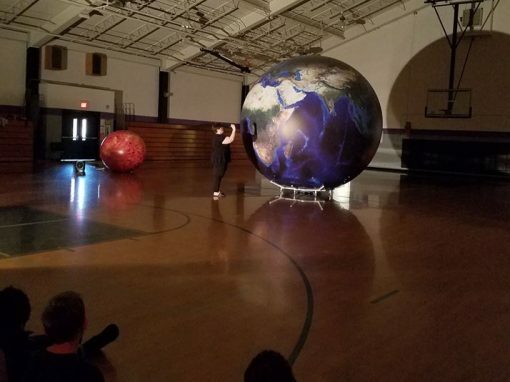 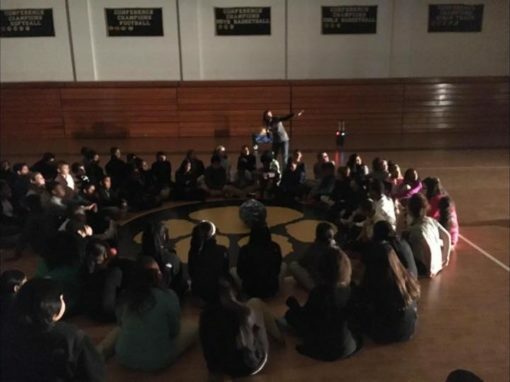 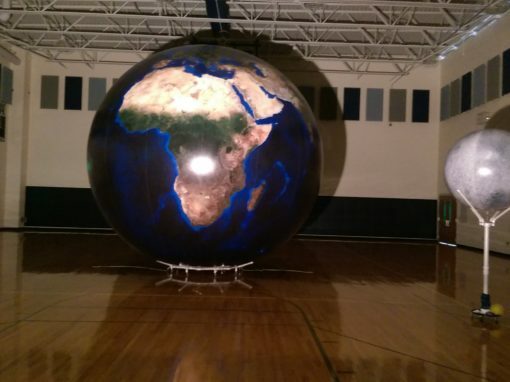 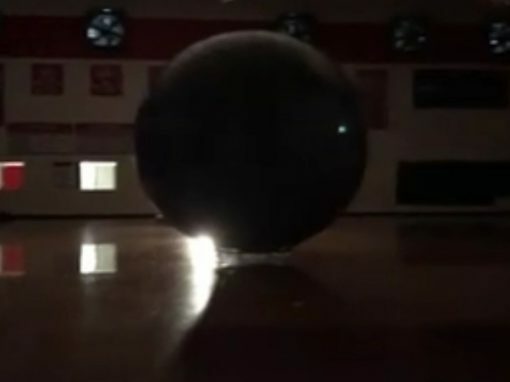 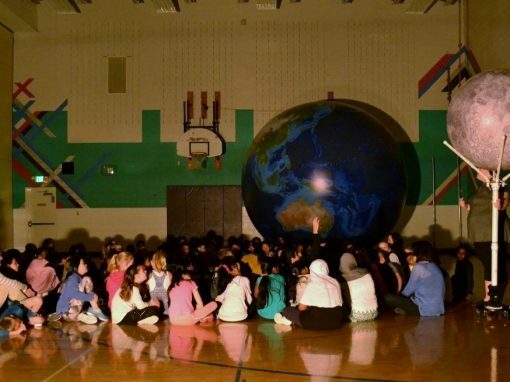 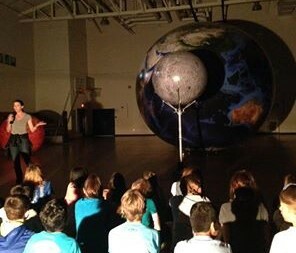 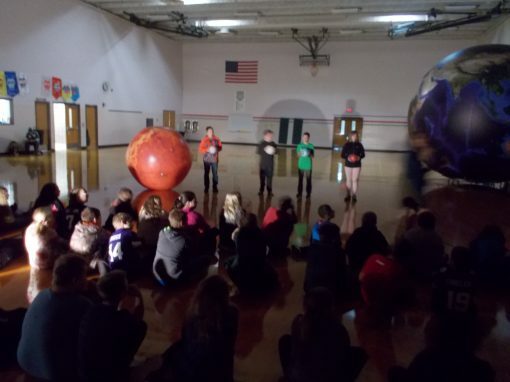 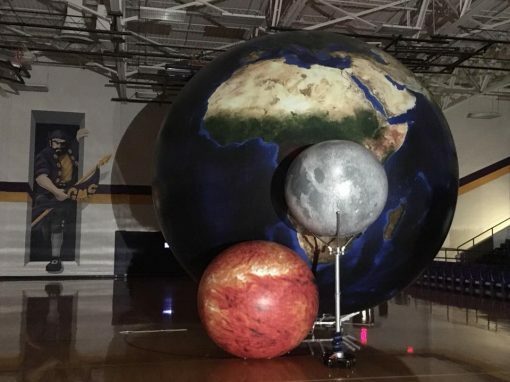 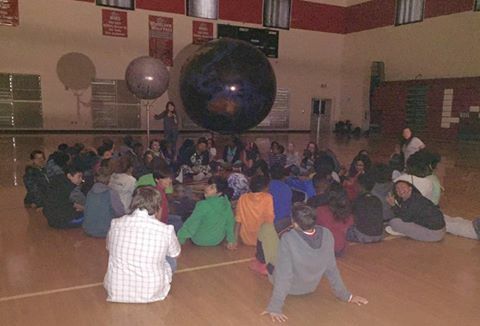 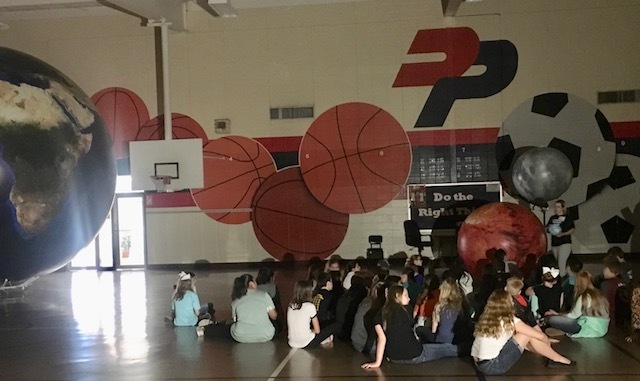 While interacting with the inflatable representations in a darkened gymnasium with a light to represent the sun, students manipulate the models to experience eclipses, seasonal/lunar cycles, creation of winds, day/night cycles, tides, rotation vs revolution, physical characteristics of the earth, moon and sun, gravity, order of the planets, seasons and more! 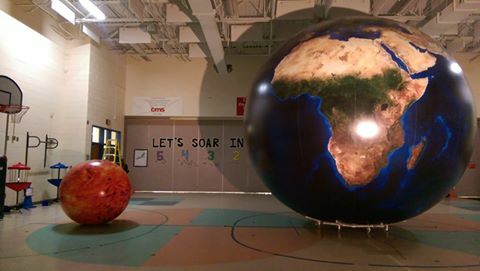 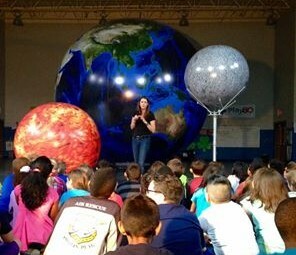 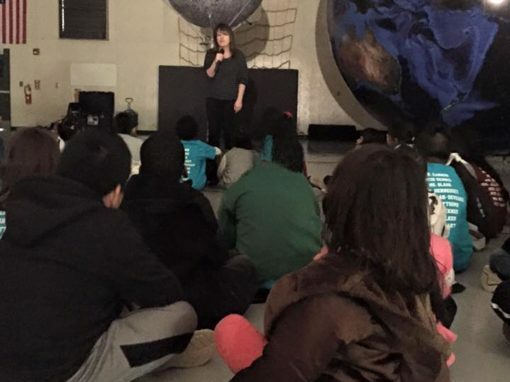 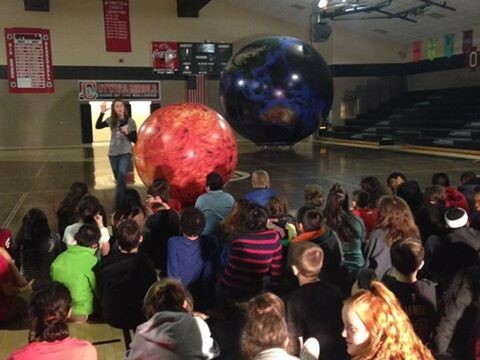 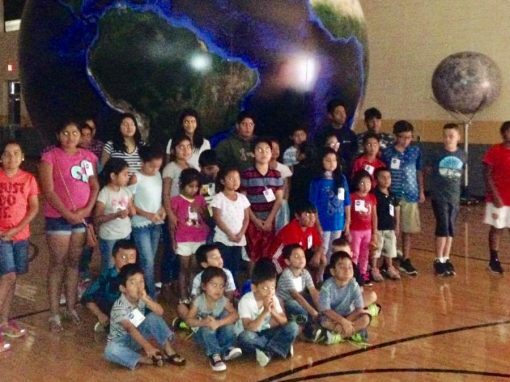 The Orbit Earth Expo Program correlates to the state and grade level science objectives. 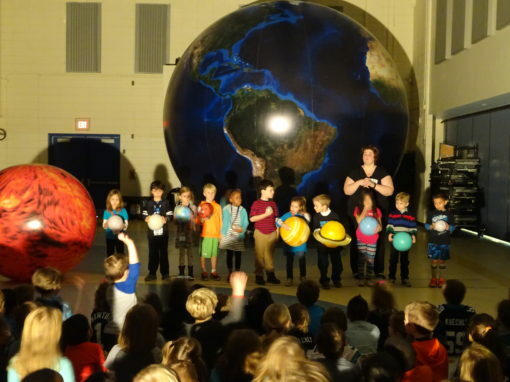 There are different age-appropriate programs for each grade level. 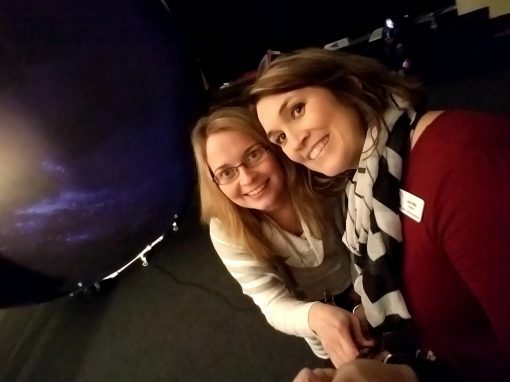 Catherine Walker’s family settled in southeast Iowa in time for her to finish growing up. 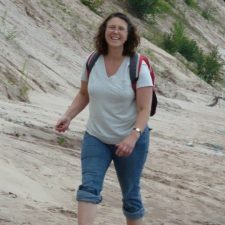 She graduated with distinction from Iowa State University with a B.S. 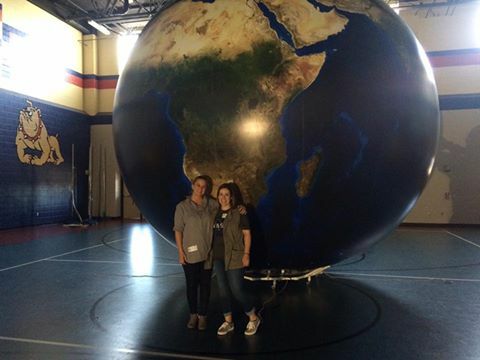 in mathematics, completing the teacher education program. 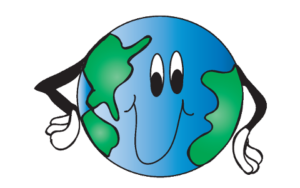 Catherine has provided freelance bookkeeping, office management, and communications support for local small businesses, including editing two books on international business communication. 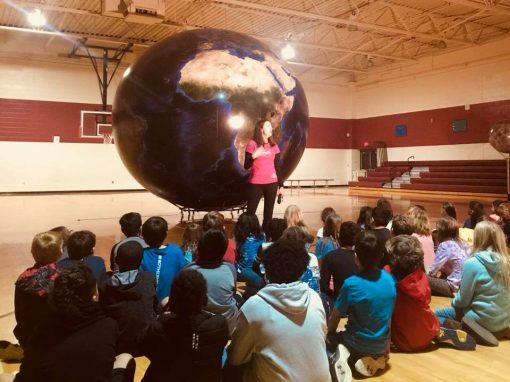 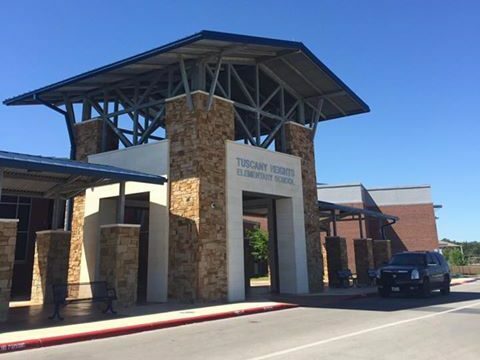 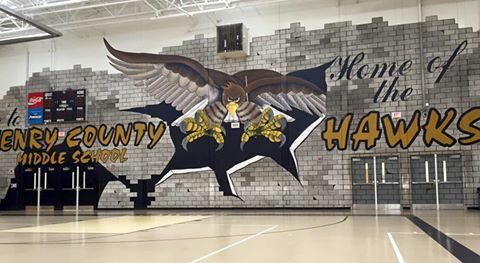 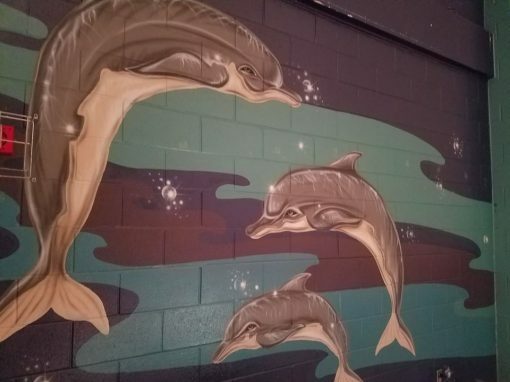 Her teaching experience includes ten years instructing Earth Science, Physical Science and Geometry courses at a homeschool cooperative as well as classes for Kaplan ACT Test Prep. 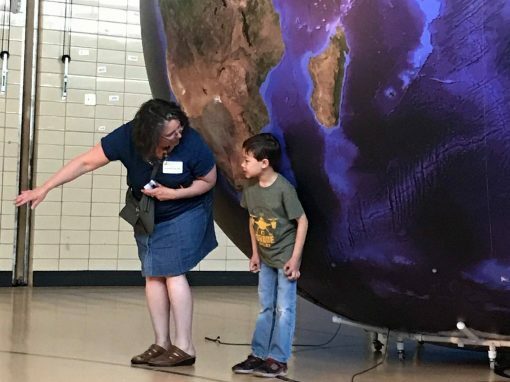 Catherine and her husband of 25 years have three children; both college-age daughters are pursuing STEM degrees. 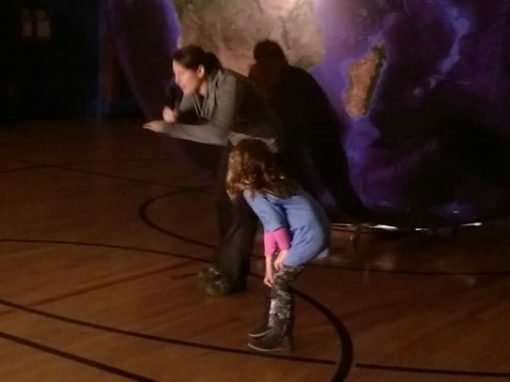 If she had her way, Catherine would have a lot more time to go camping and hiking. 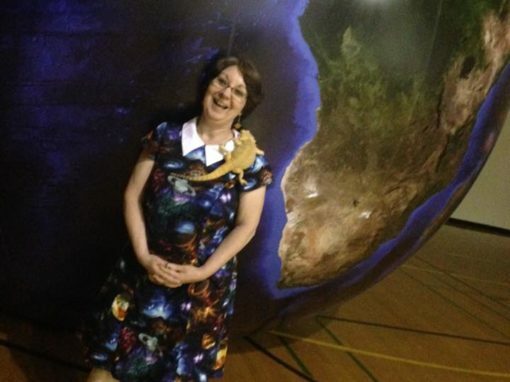 She also enjoys collecting rocks, cooking, reading, and playing with her bearded dragon.